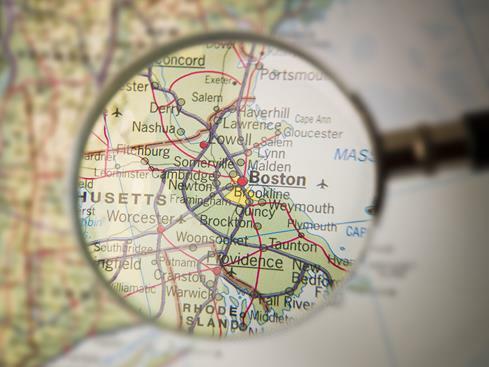 If you're being relocated to or from southern New Hampshire there are many aspects of your move that would be best handled by a real estate professional with first hand relocation experience. We have been helping people, just like you, with the relocation process for nearly 40 years. We understand your special needs and expectations and know that moving can be stressful especially when you are relocating to a new and unfamiliar location. You know what's important in a community and a home, but where do you start? Rest assured that we are very familiar with the area and can help you in your search, even before you come to the area for your initial home-finding trip. If you are moving to southern New Hampshire, it is in your best interest to work with agent and a company that is located here. We are conveniently located just over the border off exit 3 on I-93. From this central location you can explore all of the housing options in southern NH. In fact, this website has been especially designed with you in mind. You will find great links to area information. You'll also find detailed community information and easy ways to search for homes. If you want, you can sign up to be alerted about new homes coming on the market that meet your specific criteria. Then when you're ready to begin your first area tour, you'll have a good understanding of the communities and real estate market in southern New Hampshire. And with an account you'll have google mapping which will help orient your search. We will go above and beyond to make your transition a smooth one because we understand that your time is short and your home search will be intense. We have done this many times before and know that there are ways to help to minimize the frustrations involved in finding a new home. So before you arrive we will work with you to help assess your lifestyle needs and requirements. We will use this information to find communities that best match your specific needs. Then we will use your preferred contact method to update you search criteria and requirements before your arrive. Provide a guided tour of communities you choose. Educate you on the services and amenities important to the members of your household's adjustment. Visit homes that fit your needs.